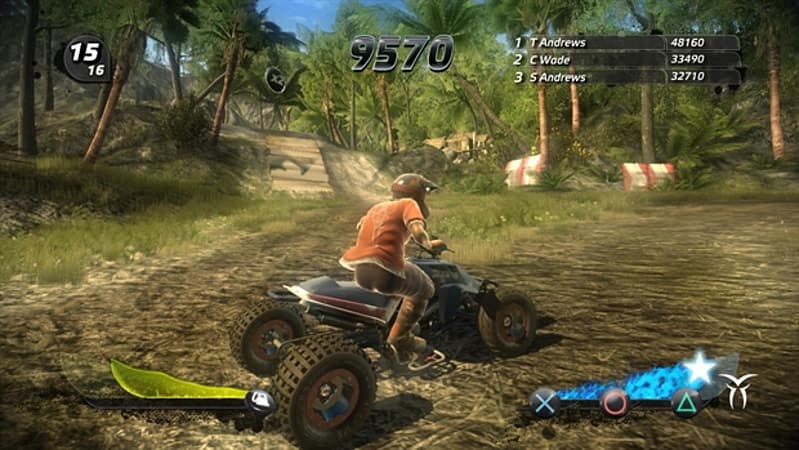 Throttle up your quad bike and check your fear at the starting line as you compete against fifteen rival riders in unique off-road trick-racing events on over 30 different tracks. Leap off snow-capped Italian mountains, jump gaping chasms in New Mexico or ride the rim of active volcanoes on your way to victory. Build your quad with handling and performance to suit your riding style. Experience super speed, catch massive air and nail spectacular airborne tricks while you leave your competition in the dust. 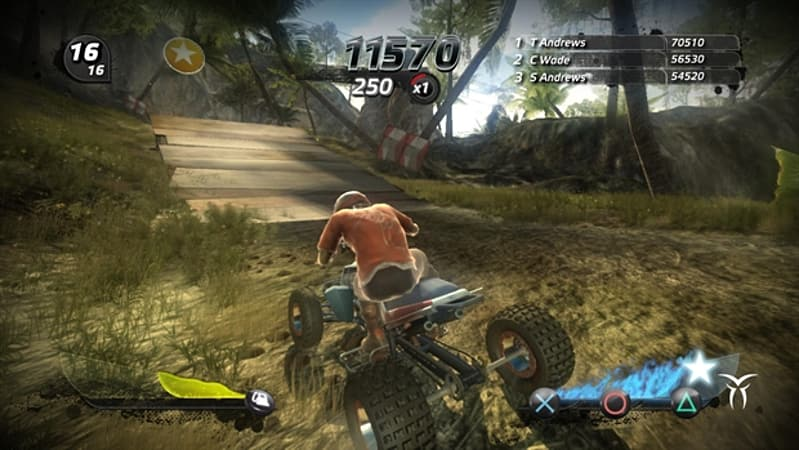 Welcome to off-road trick-racing. Welcome to Pure. - The Vertigo Rush - It's the moment in real life when your bravery outstrips your ability. You come steaming around a blind bend and you're faced with a ramp that actually turns out to be a cliff face. Before you know it, you're flying through the air, hundreds of feet up, looking out across a beautiful vista before frantically searching the ground for a safe place to land. - Trick Racing - Increase your Boost Meter every time you launch, catch massive air and successfully land one of the 80 increasingly complex and extreme airborne tricks. Progress from Basic to Advanced to Pro and finally to the Special tricks which are unique to each character. 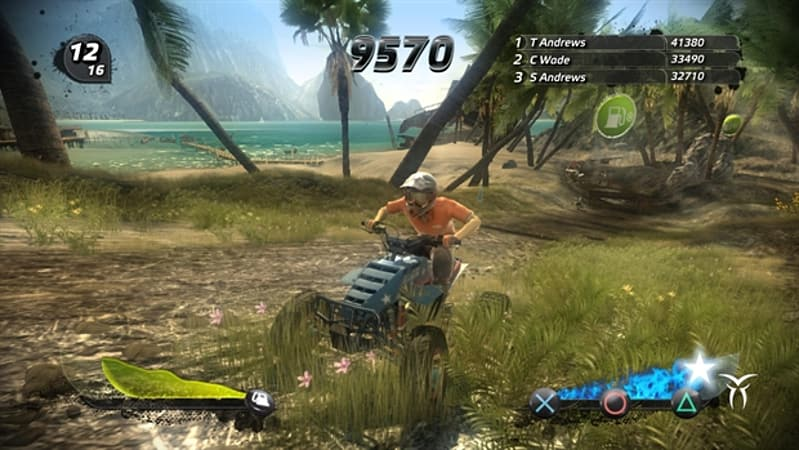 - Dream it, Build it, Ride it - Choose from over 65,000 possible combinations of parts, graphics packs and custom paint jobs to create your very own ATV from the ground up. You can choose to customize your bike to be more trick-focused or more race-focused. 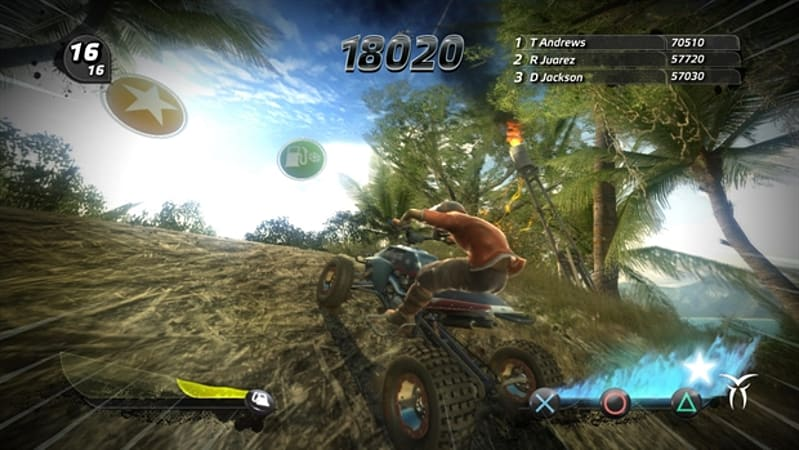 - 16 Riders - Never seen before in an off-road racing game, you can have up to 16 rivals on the starting grid in both single player and online multiplayer modes. - World Tour - In World Tour, race around active volcanoes, explore the highest peaks of Italian mountains, and delve into the deepest jungles, among many other locations. - Game Modes - Pure sets you up with three different event types. 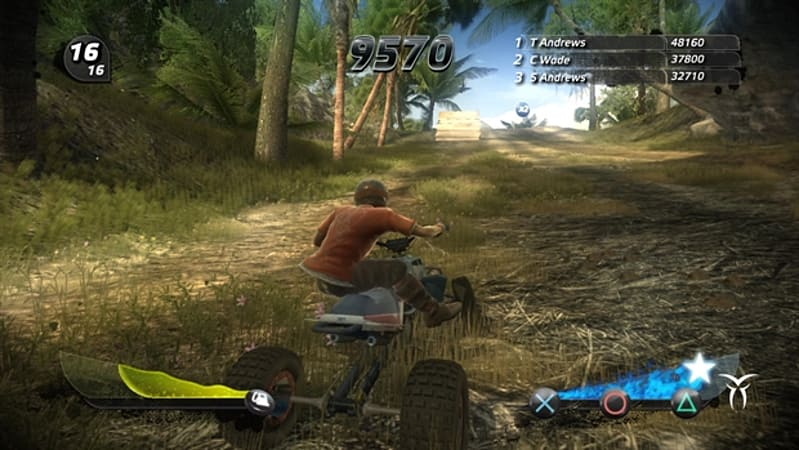 Race mode lets you take on a full field of riders on some awesome natural tracks. Sprint brings the action up close with circuits that are more challenging and technical. 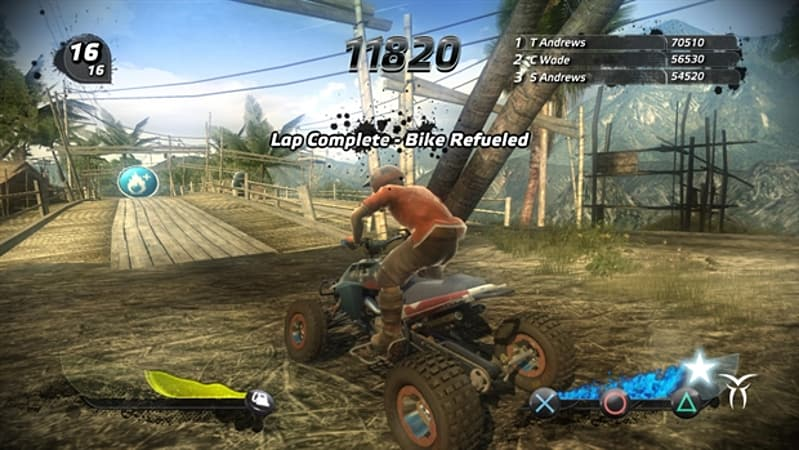 Freestyle sees you squaring up to some sweet jumps and hazards while you pull off killer tricks against the clock. So, whats it gonna be?